We're just back from Marbella, we had the best time! It was our first family holiday and a big group of us flew to Spain for a friends wedding. The whole time was so chilled and relaxed. I got the chance to catch up with lots of old friends, had the craic and was really able to unwind! It really was so much fun and so nice to travel with such a big group of friends. It was lovely to spend the week with Chris and Sienna, we had so much fun with her and she was the perfect age for going away. Each day she is getting funnier and her personality is so cute. She is such a charmer and was a big hit with everyone on holidays. 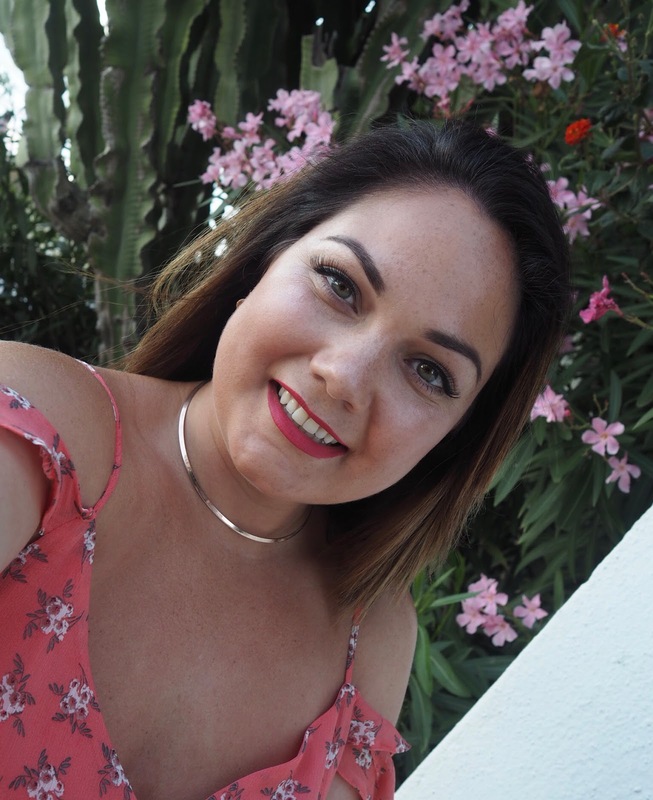 Some of my outfits from Marbella were from Primark which of course you can pick up yourself but here are more options that might be similar in style to what I'm wearing so you can re-create any of the looks in your own way! My cream embroidered smock swing dress is River Island - get this dress here. It was a last minute purchase the day we were going away, I spotted it when I was going to pick up something I ordered online and couldn't pass it by. You can also recreate similar looks with dresses from Boohoo here and ASOS here. Siennas romper is so cute, I'm obsessed with the colours. It's from one of my favourite baby boutiques JoJo Maman Bebe and its on sale at the moment, check it out here. They only have a few sizes left in stock so if you can't get it here are some other options. They have a very similar one from Monsoon here (so cute) or this fab little romper from Easy here. Her bow is Little Bow Pip here. I'm not able for this cutie :) she smiled and laughed for the whole week. 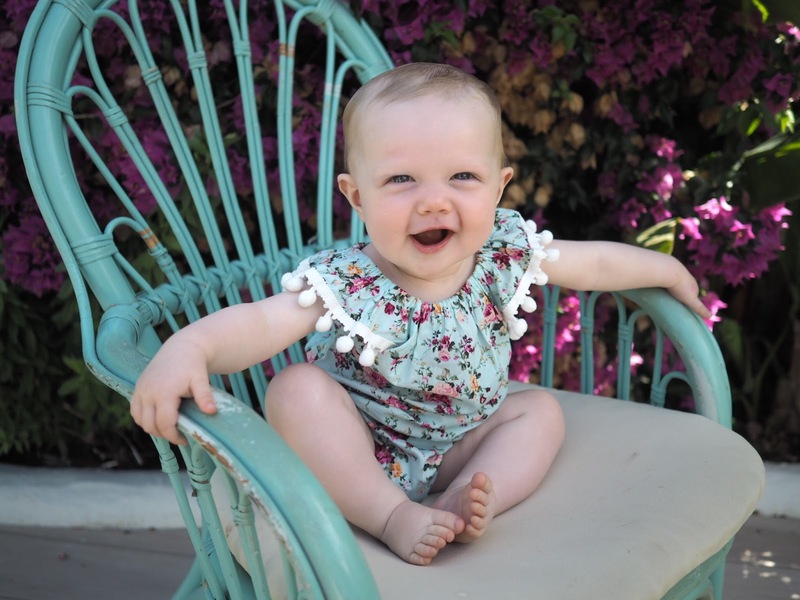 Her romper is from an Irish brand called Bambino Basket I will link it here. Sunnies inspo! Mine are Tom Ford but you can grab some similar ones from Missguided here and River Island here (love!). Gold flat sandals go with everything on holidays, you can pick up some gorgeous pairs from ASOS here (with bows) and here (minimalist). Dominique's black lace up flats are gorgeous! Steal her style here. Her two piece is from BooHoo here. This little beach dress is from Primark but if you want to shop it online there are similar dresses available from ASOS here and here. A floral print maxi dress is becoming a holiday staple for those evenings out dining and walking by the beach. There are some gorgeous ones out there like this one here from Forever 21, this one here from ASOS (Vero Moda), or this gorgeous one from River Island here. Mine is from Pennys and they had lots in stock last time I was in. To get all of the ultimate Insta snaps on your holiday pick up an adult size Flamingo Pool Float on ASOS here. Sienna's flamingo float is from and Irish brand Pretty Yum Co here. Playsuits are so handy to effortlessly pull an outfit together. This one is from Penneys but as always there are ways to re-create this look if it has gone out of Penneys now. There are some gorgeous ways to re-create this look from New Look here (baby pink), here (gorgeous pattern) and here (romantic/slouchy style). 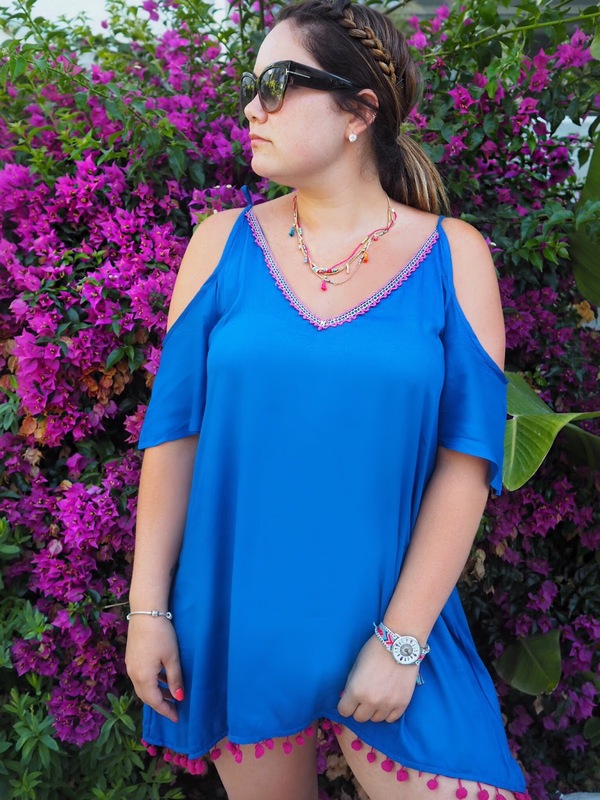 Here is another similar one from Primark, it is a bikini cover up but I wore it to breakfast one morning and it was perfect, very comfortable and airy. It was a bit big on me so I had to get Pads to tie a small knot in the straps. I'm pom pom obsessed, some similar styles from Asos here , here and here. This cute baby blue polka dot bardot dress is from Topshop. It is actually sold out online but you can still get it in stores. I bought mine is Topshop in Liffey Valley. You can get similar dresses from Topshop here, a cute embroidered version here, and here. I really hope you enjoyed my holiday snaps and find some inspiration for your summer wardrobe in this post. Happy shopping & if you're heading away I'm so jealous. Tag me in your outfit pictures if you buy any of the items I wore. Watch our Marbella vlog - Our first family holiday!